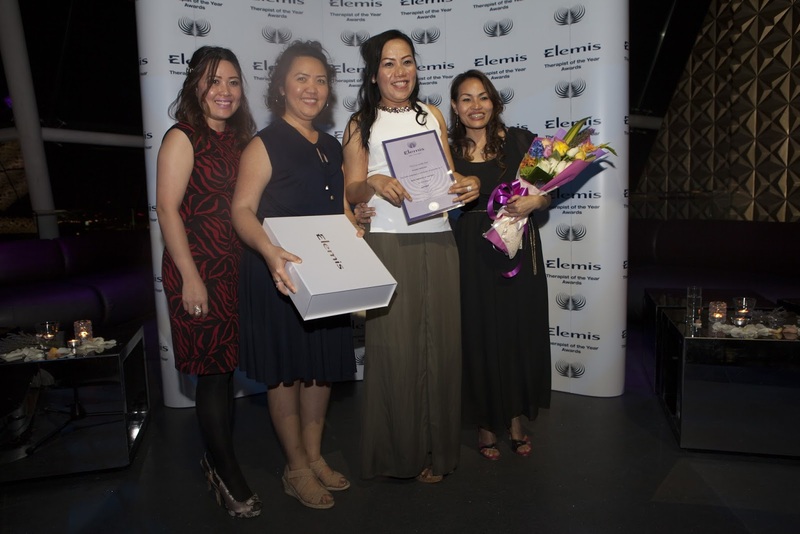 Elemis is one of my all time favourite brands and I was utterly delighted when they contacted me and asked if I would like to be on their panel to select the 'Therapist Of The Year' for 2014. After nearly falling off my chair in delight I obviously said of course I would! There were 2 different facials I could have-the Visible Brilliance and the Pro Collagen Quartz Lift Facial-both 75 minute treatments. I had two of each facial and at my final facial I requested the Visible Brilliance because it was just SO good. 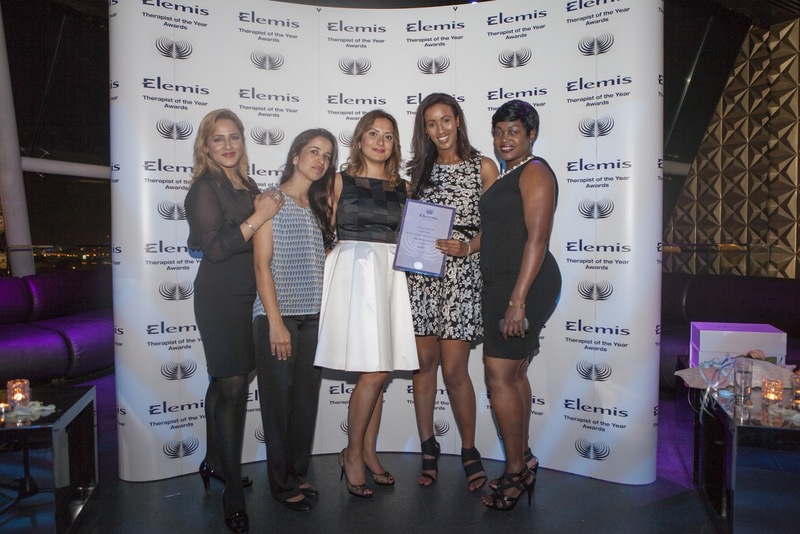 The standard across the board was so high and the level of training Elemis give their therapists must be so in depth. Each facial started with a detailed consultation about my skin and my concerns and included a 'mirror analysis' where the therapist divided the face into 3 parts and each area was discussed. You can also ask the therapist to tailor the treatment to any preferences you have, for example I asked them to avoid lavender based products and anything with cocoa butter in it. Each facial started with a double cleanse and tone-using the Pro Radiance Cream Cleanser in the Pro Collagen Quartz Lift facial and a cleanser suitable for my skin type in the Visible Brilliance-all the therapists used the Rehydrating Rosepetal cleanser which I absolutely loved and it smells amazing. They then toned the skin using either the Soothing Apricot Toner or the Rehydrating Ginzing Toner and then got to work with a combination of masks, peels and facial massage. The Visible Brilliance started with the Papaya Enzyme Peel mask-a ten minute non granular exfoliating cream that uses the natural fruit enzyme actions of papaya and pineapple to smooth, brighten and clarify. This is actually a product I own and use myself and absolutely love. It's gentle enough for sensitive skins too. Whilst that was on I was treated by each therapist to a lovely neck and shoulder massage-I felt myself nodding off on more than one occasion! The mask was mixed up by the therapist-as I lay there with a soothing compress over my eyes I could hear them mixing, mixing, mixing the powder with warm water. The therapist then literally paints the mask onto your face and neck. It feels like a thick, cold gel and it sets quickly. It's left on for 10 minutes whilst you receive a scalp massage and then the therapist literally peels the mask off in one fell swoop. I just had to feel my skin immediately and it feels so so soft and plumped. I loved this mask! In two of the facials I was offered extraction on my face where the therapist used steam to open pores and then had a go at extracting any blackheads and milia. It wasn't standard across all the facials and it wasn't offered in the hotel based facials. The therapists then applied toner again and then a serum to the skin-in the Pro Collagen Quartz Lift facial the Pro Collagen Quartz Lift Serum was used and in the Visible Brilliance the Visible Brilliance serum was applied. The serum was used also to lubricate the skin for a really lovely facial massage. The next mask was then applied-in the Pro Collagen Quartz Lift facial the Pro Collagen Quartz Lift mask was used which was another cream based mask containing uplifting ingredients such as Moringa and Argan Tree Oil. In the Visible Brilliance I had the Exotic Cream Moisturising Mask which I purchased afterwards because I loved it so much. This mask is perfect for people with dry or dehydrated skin or for those who spend a lot of time in air conditioning or flying (tick, tick) and contains amino acid rich honey, immune boosting sea rocket, echinacea, mandarin and bergamot. No wonder my senses were in heaven! This mask can even be left on overnight and will definitely be used by me as a weekly hydrating treat. Whilst that mask was on I received a hand and arm massage-these treatments really are utterly blissful. I also had a serum for the eyes applied to cotton pads and placed under the eyes. It's worth noting that none of the masks used in the treatments tingled, stung or felt tight on my skin at all. Finally the mask was removed with a hot flannel (as were all the cleansers and masks apart from the peel off mask) and the serum was applied again, an eye cream and then finally a layer of moisturiser. 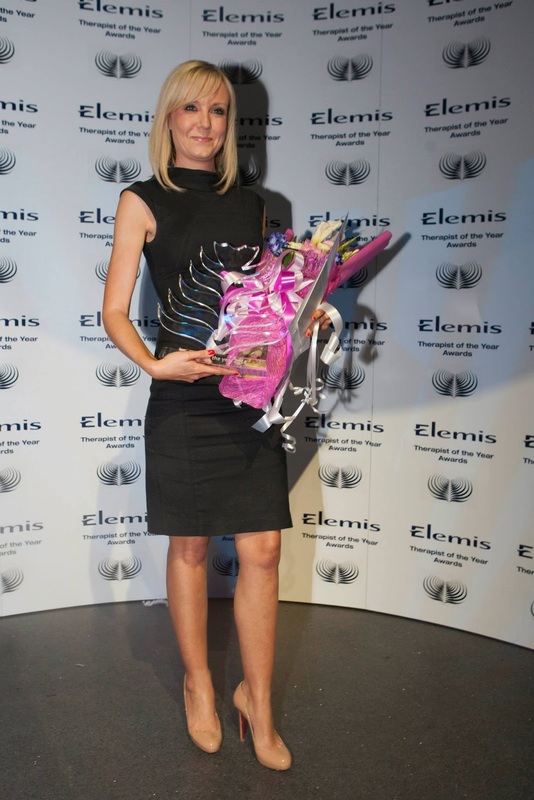 The Pro Collagen marine cream seemed to be a popular choice and is one of Elemis' best sellers. I have to say after every treatment my skin felt plumped and my skin really glowed. After the first Visible Brilliance facial I honestly couldn't stop looking at my face in the mirror my skin looked that nice!! I also found that my under eye area looked really smooth and hydrated. 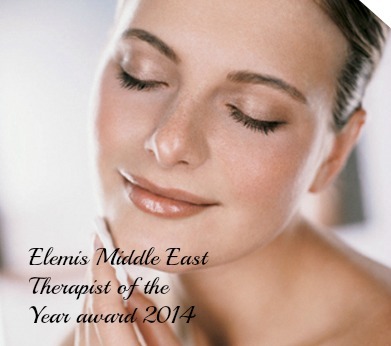 My role was to go and have the facial (compliments of Elemis Middle East-thank you again so much!) as a mystery shopper and then to complete an extensive questionnaire about the experience and give feedback. Whilst all the facials were incredible I preferred the standalone salons to the hotel ones. I think because in the hotel ones they are so used to seeing tourists for one time only whereas at the standalone salons it's in their interest to take a long term interest in your skin and it's condition as you're more likely to go back as a regular client. Of the 5 facials, two really stood out to me. 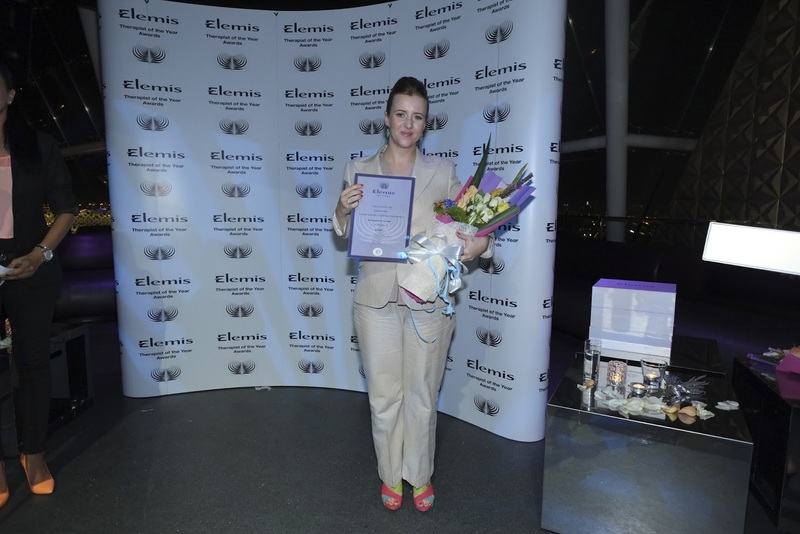 Natalie at the Haven was so passionate about her job and about the Elemis brand. She was incredibly personable and had a really good understanding of skincare and ingredients that are suitable for each skin type. She was incredibly professional and I am sure I will return for more treatments with her. 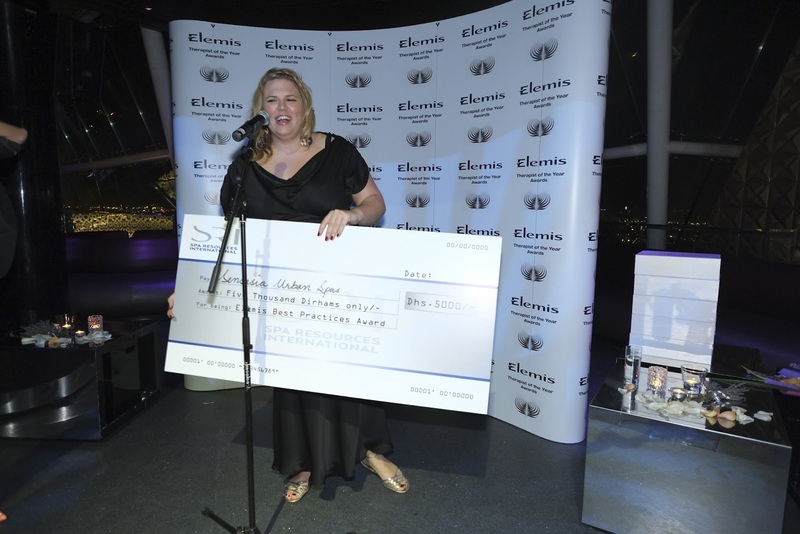 I was delighted when Natalie won the award for the Elemis Facial Therapist of the Year at the prestigious awards ceremony that I attended on Monday evening. The whole experience I had with Lydia from Essa Beauty was just beyond what I could have ever have hoped to find in a therapist in Dubai. In the 9 years I have lived here I have never come across anyone who is more knowledgeable about skin types and skin conditions, who was so passionate about educating her clients and was a fountain of professionalism, passion and skill. Lydia is also incredible at extraction and really helped my skin get rid of some tiny stubborn milia without leaving any scarring. It was everything I wanted in a facial-she took time to really understand my skin type and conditions, she educated me about ph levels in the skin during the facial, her technique was utterly professional and I was very relaxed. She recommended products she used herself, fitting them into my existing (very varied routine) rather than advocating an 'all Elemis' routine. 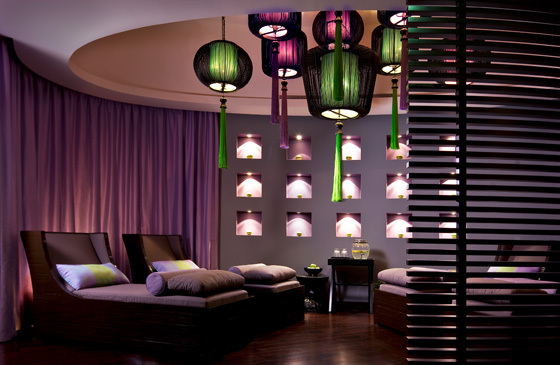 The salon is bright and beautiful with white and purple accents and is a world of tranquility in the heart of busy JLT. 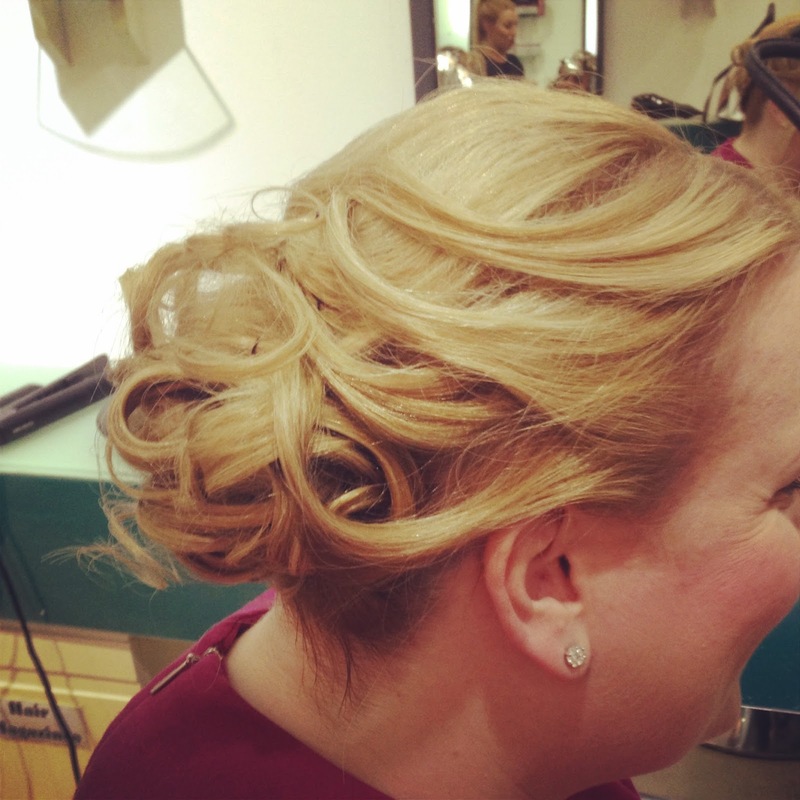 The staff were all absolutely lovely and I can see why Lydia is often booked up weeks in advance. I was equally delighted when Lydia won the overall Therapist of the Year-I feel it is a title which is thoroughly deserved considering the way I, and my skin felt when I walked out of her salon. 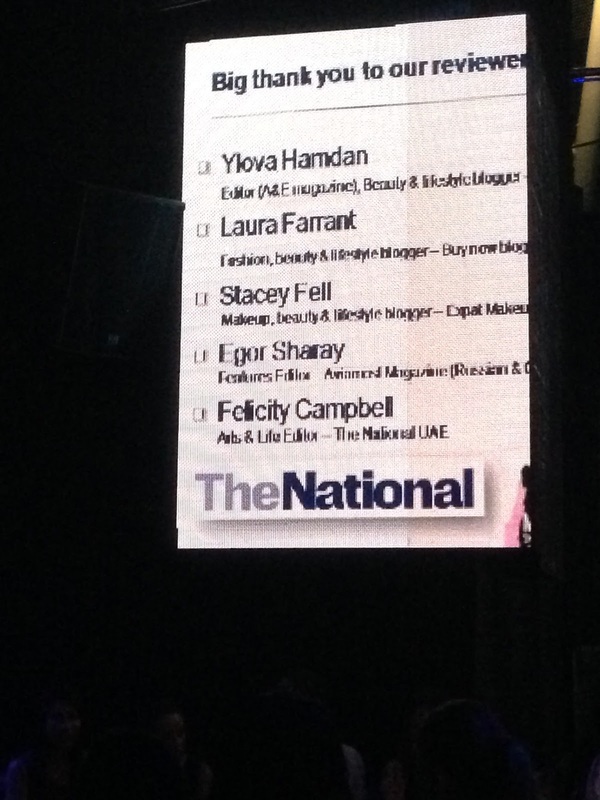 If you live in Dubai and want to go to a really excellent and knowledge facialist who will understand and help to treat your skincare concerns I would highly highly recommend Lydia or Natalie. Thank you to Jay from Hairworks Dubai for doing my hair before the event-Jay is absolutely incredible and this is the second up do I have had from there-she has an incredible knack of making me look like I have far more hair than I actually do! 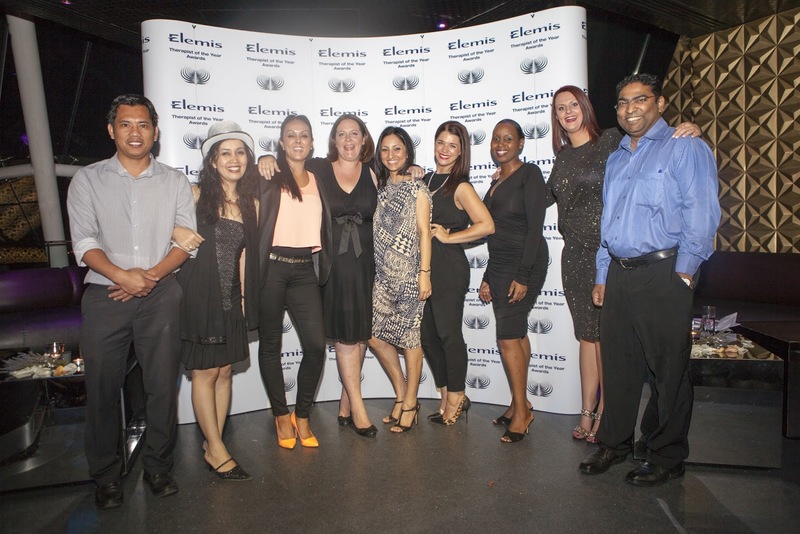 And thank you again to Spa Resources International for organising the treatments and the awards ceremony. I have to say I am now hooked on facials! Alongside my already pretty extensive skincare routine I will definitely be making time for a monthly Visible Brilliance facial! 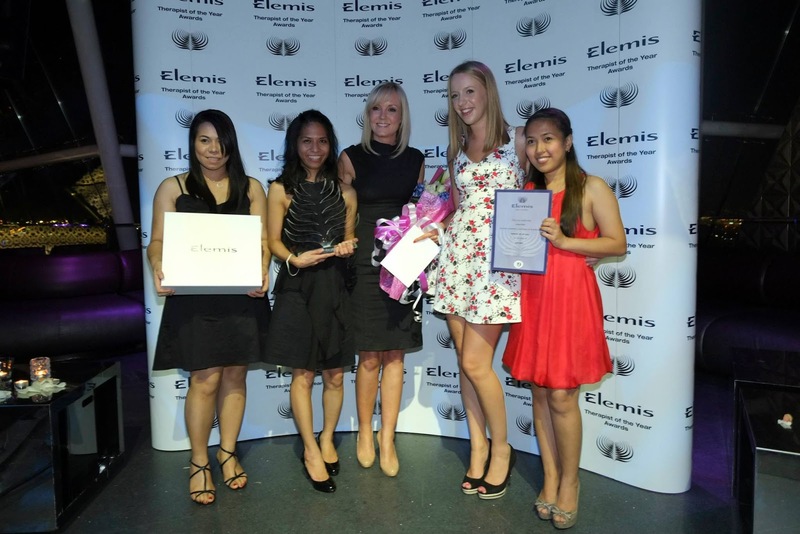 Elemis products can be bought at all of the above salons in Dubai and in the UK you can buy the products directly from Time To Spa. I did treat myself to a few things during my treatments-my picks would be the Soothing Apricot Toner, the Papaya Enzyme Peel and the Exotic Cream Moisturising Mask. Wow!!! Sounds like you had an amazingly heavenly experience and I'm jells! Haha! I've never had a facial before, but it's not like we have Elemis spas here so that's a shame. But anyway your hair!!! Gorgeous!!! OOO your hair! 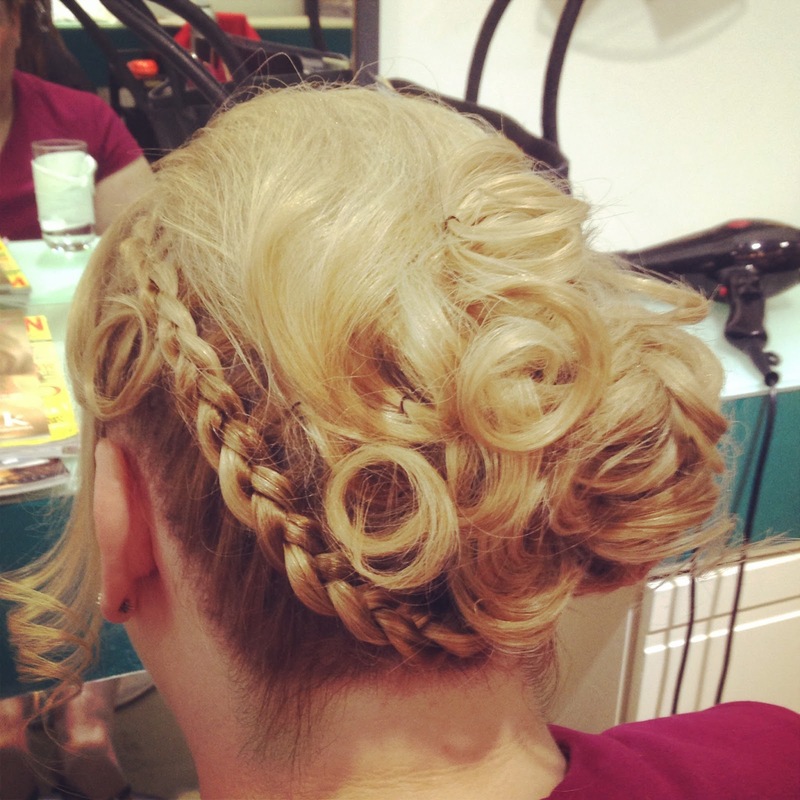 The do is so fancy! 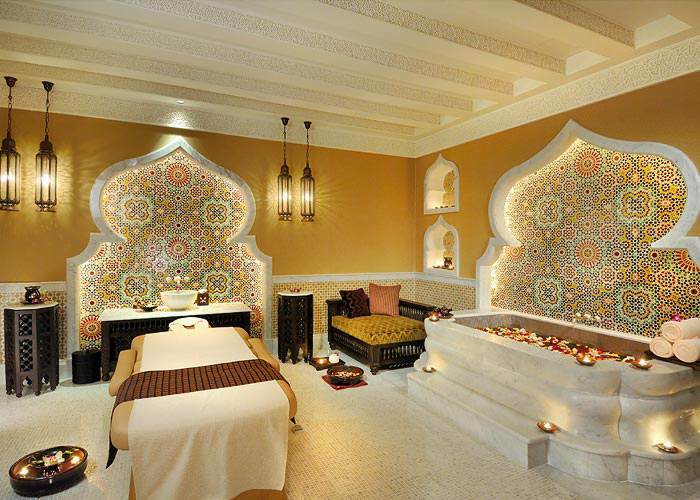 The spa looks like somewhere I'd DIE to just hang out in for a day!